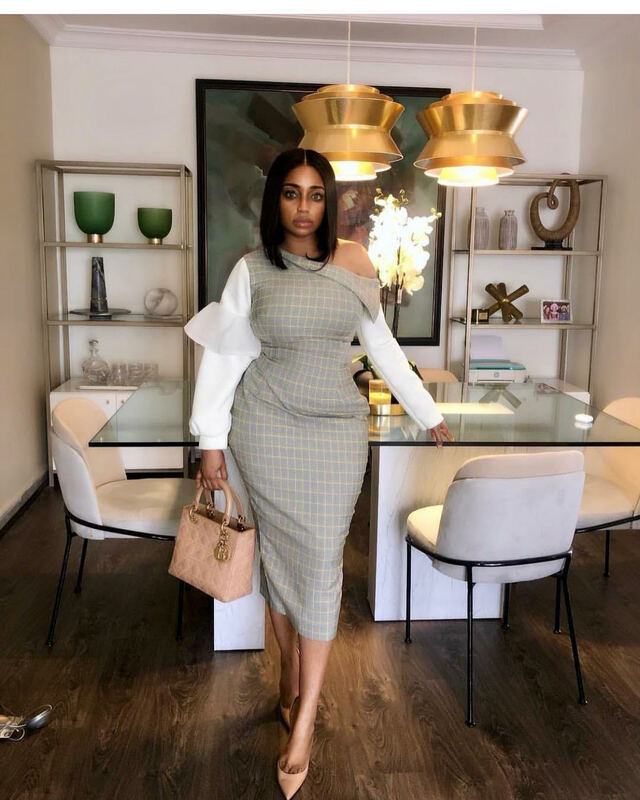 In today’s edition of BN Pick Your Fave, we have the ever fashionable interior designer Tracy Nwapa who is steadily serving workwear style inspiration and Evbade Ohiowele the fashion stylist constantly giving us life who we spotted in this dress from Ready-To-Wear womenswear brand Tubo. 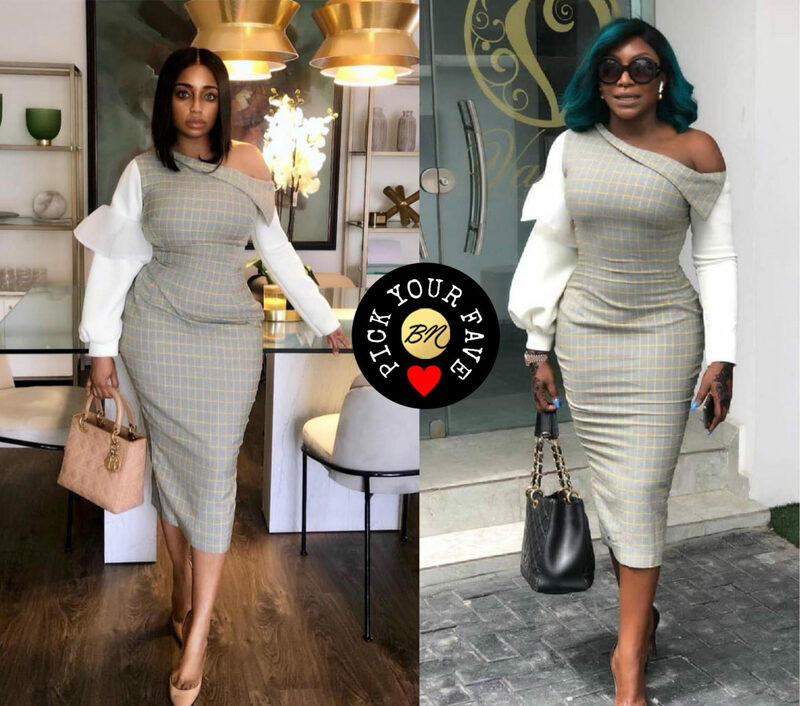 Both Tracy Nwapa and Evbade Ohiowele were spotted in a pale grey checkered dress which had a one side off the shoulder and a regular sleeve while the other side has a puffy sleeve with tulle detail which adds even more character to the overall outfit. The always fashionable Tracy Nwapa stepped out in the trout-colored Tubo dress which she rightfully paired with a desert hued Lady Dior top handle bag and matching shoes which compliments the dress perfectly. She finishes up the look with her trademark daytime smokey eyes and sleek hair and looked every bit a boss lady. Stylist Evbade Ohiowele on the other hand also wore the Tubo dress but paired it with black quilted bag with gold chain handles and pointed heels, bold sunglasses and a gold watch. The overall look just makes you think of a fashionable lady out to conquer the world and yes, we are here for it. We love how both women styled this dress and were true to their personal style but whose styling is your favourite? To vote for your fave, visit www.bellanaijastyle.com now! 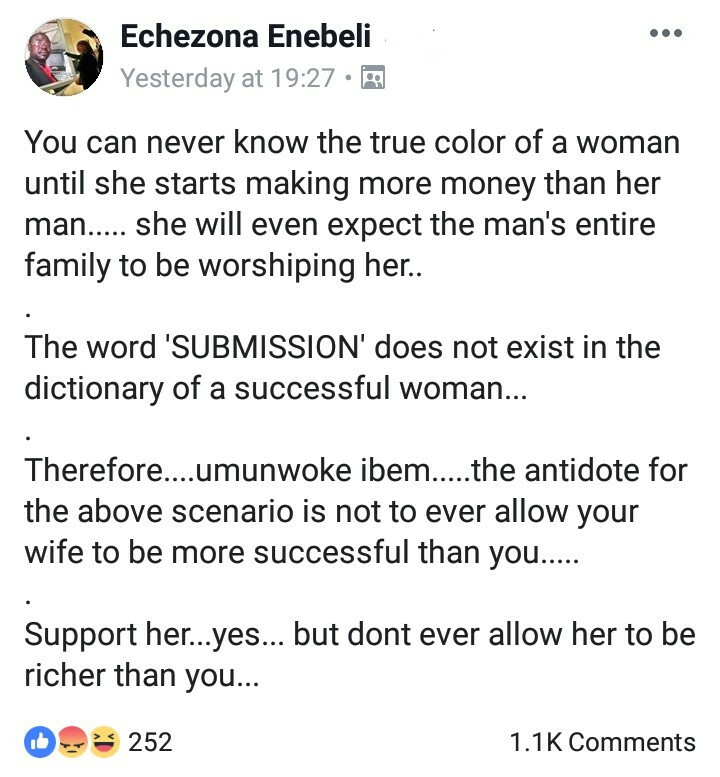 The post BN Pick Your Fave | Tracy Nwapa and Evbade Ohiowele in Tubo appeared first on BellaNaija - Showcasing Africa to the world. Read today!.